Let me introduce you to Gypsy’ my latest 3D virtual reality equine painting. She is a Connemara mare. The Connemara pony (Irish: Capaillín Chonamara )is a pony breed originating in Ireland. They are known for their athleticism, versatility and good disposition. The breed makes excellent show ponies. The Connemara region in County Galway in western Ireland, where the breed first became recognized as a distinct type, is a very harsh landscape, thus giving rise to a pony breed of hardy, strong individuals. Some believe that the Connemara developed from Scandinavian ponies that the Vikings first brought to Ireland. Another source was likely the Irish Hobby, a now-extinct breed established prior to the 13th century. Legend, however, says that galleons from the Spanish Armada ran aground in 1588, and the Andalusians on board were set loose. The Spanish horses bred with the native stock, refining the local ponies. For additional strength and stamina, Arabian blood was added in the 18th century. They were also crossed with Hackneys and Thoroughbreds. Too much crossbreeding began to dilute the pony bloodlines, so the Connemara Pony Breeders’ Society, founded in 1923, worked to preserve the breed type. The stud book was established in 1926. Today, Connemaras are bred worldwide in Ireland and Britain, as well as on the European continent, North America, Australasia and South Africa. 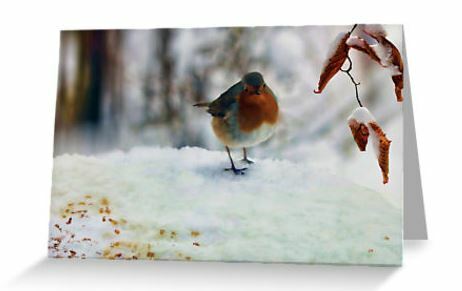 Christmas is coming – Robin redbreast card. 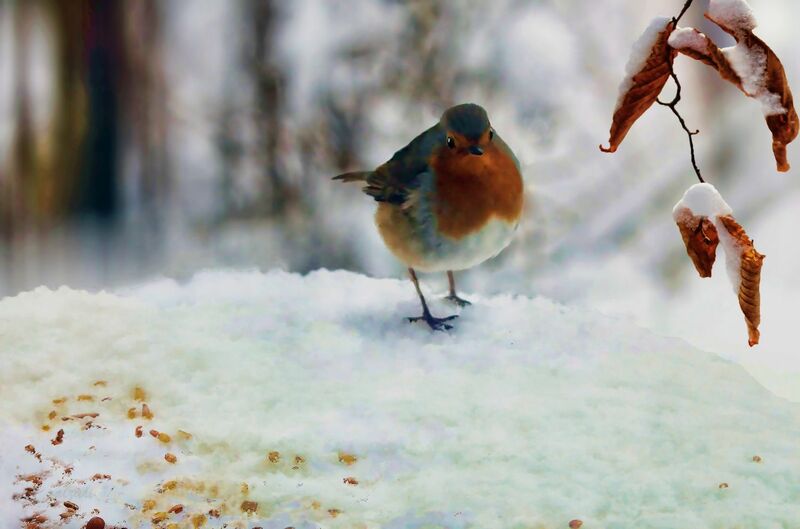 Captured in Norfolk UK – edited in Topaz Labs to give it a painterly effect for Christmas.